Costa Rica’s oldest political group, the National Liberation Party (PLN), will host its presidential primary on Sunday to nominate its candidate for the 2018 elections. Four candidates will seek the nomination for the social democratic party, which has elected seven presidents since its founding in 1951: Sigifredo Aiza Campos, Antonio Álvarez Desanti, ex president José María Figueres Olsen and Rolando González Ulloa. Any citizen can participate, but those who are not yet registered as PLN members must do so on their way into the voting booth in order to cast a vote. In order to win the nomination, a candidate must obtain at least 40 percent of the votes cast on Sunday. “Otherwise, the party will host a runoff election with the two top candidates on a date that has not yet been defined,” PLN’s President Jorge Pattoni said at a press conference earlier this week. This week, the University of Costa Rica’s (UCR) Center for Research and Policy Studies released the results of a poll showing that four out of ten registered voters plan to vote on Sunday. That represents some 1.4 million voters, far above Liberation’s own projections of some 400,000 expected voters. The poll projection is also higher than the 515,000 votes cast in the last Liberation primary, won by Laura Chinchilla Monge in 2009 as the party prepared for the 2010 election. The party’s candidate in 2014, Johnny Araya Monge, won the party’s nomination by default after his opponents quit the race. Araya went on to drop out of the presidential race a month before the runoff election won by then Citizen Action Party candidate —and now President— Luis Guillermo Solís Rivera. 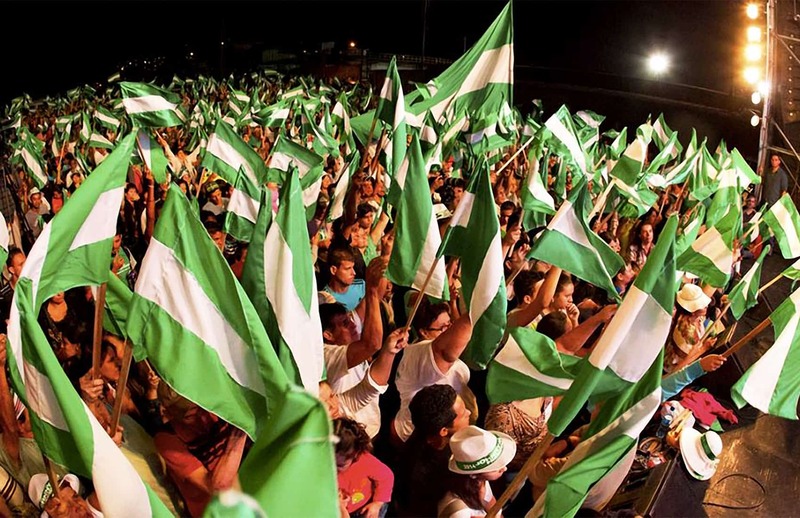 UCR’s Semanario Universidad reported that the Research Center poll also found that 61 percent of respondents who identified themselves as Liberation supporters, “or liberacionistas,” said they would vote for Álvarez. Figueres came in second with 37 percent, followed by González and Aiza. Álvarez also got the best odds among members of other parties in the poll. Here’s a a look, in alphabetical order, at the candidates looking to represent the liberacionistas in February 2018 presidential election. Aiza, 64, is a doctor at a public hospital in Nicoya, in the province of Guanacaste. He graduated from the University of Costa Rica’s Medicine School, and has worked at various hospitals of Costa Rica’s Social Security System, or Caja. He entered politics in 1990 when he supported Liberation candidate Carlos Manuel Castillo, who lost the presidential election to Rafael Angel Calderón Fournier. Aiza, however, won a seat at the Legislative Assembly for 1990-1994 term. He then returned to the Assembly between 2002-2006. He announced his presidential bid last year in a video posted on his social media profiles. He claims to be Liberation’s new face and uses the slogan “Yo hago la diferencia” (“I make a difference”). His main strategy has been to distance himself from the other candidates, mostly Figueres and Álvarez, calling them neoliberals who would further increase economic inequality. Aiza’s father, passed away on Thursday and he suspended his remaining rallies in the final days of the primary campaign. Poll favorite Álvarez, 58, is a lawyer with degrees from the University of Costa Rica and Harvard Law School. Currently a legislator, Álvarez temporarily left his post as Legislative Assembly President last year to seek his party’s nomination. In addition to his private practice, he is an entrepreneur and owns various companies in the agricultural, financial and real estate sectors. He first held a public post in 1985 as executive president of then-public fertilizer company Fertilizantes de Central America (FERTICA). President Óscar Arias Sánchez, during his first term (1986-1990), named Álvarez Agriculture and Livestock Minister and then Interior and Police Minister. He then won his first seat at the Assembly between 1994 and 1988. Álvarez left the PLN amid the party’s primaries in 2005, citing disputes with Arias, and ran for the presidency on the ticket of a party he created, the Union for Change.Arias, however, went on to win Liberation’s nomination and subsequently the 2006 presidential election. Álvarez returned to the Liberation Party in 2007, and in 2014 was campaign manager for Johnny Araya Monge’s unsuccessful presidential bid. 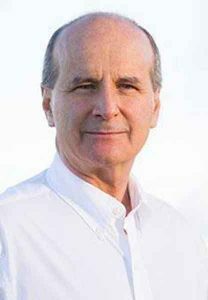 Figueres, 62, is the son of the PLN founder and three-time Costa Rican President José Figueres Ferrer. He has a degree in Industrial Engineering from the U.S. Military Academy at West Point and a Master’s Degree in Public Administration from Harvard University. Figueres was Foreign Trade Minister from 1986 to 1988 and Agriculture and Livestock Minister from 1988 to 1990 under President Óscar Arias. He was also president of the Costa Rican Railroad Institute (INCOFER). He was President of Costa Rica from 1994 to 1998 after defeating Social Christian Unity Party’s Miguel Ángel Rodríguez Echeverría in the national election. His administration was marked by the implementation of severe economic policies negotiated with the World Bank. Most notably, he ordered the closures of INCOFER and the Banco Anglo Costarricense, the country’s oldest public bank. He moved to Europe upon the end of his term, where he held posts at the World Economic Forum and other international organizations. Four years later, he was widely critized for refusing to return to the country to attend hearings and trial for his alleged participation in an international bribery scandal involving French telecom Alcatel. The company paid Figueres nearly $1 million in consulting fees in exchange for lobbying for the company’s mobile phone contracts in Costa Rica. The Prosecutors’ Office never charged him with a crime, but his critics argue that the payment was highly irregular. He returned to Costa Rica in December 2011. In February 2015, he became president of the PLN, but resigned that position in April to seek the party’s nomination. 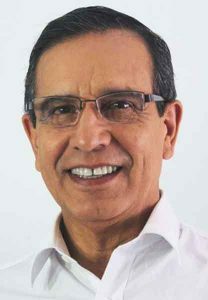 A current Legislative Assembly member, González, 66, is an educator, lawyer and psychologist who graduated from the University of Costa Rica and the National University. He began his professional career as a high-school teacher. He served as Secretary General of the National Liberation Party in 1996 and was succeeded by now President Luis Guillermo Solís, who at the time was a PLN member. 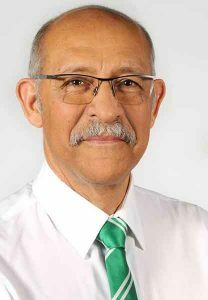 González was executive president of the Agricultural Development Institute and the National Production Council. He also was a lawmaker between 1994-1998. When he announced he would compete for the nomination, he acknowledged that he lacked the support of the party’s “godfathers,” as well as funding for mass media advertising. He conducted his campaign primarily by touring the country and visiting media outlets. PLN’s presidential nomination also saw early withdrawals of candidates who announced their bids and then quit the race. The most notable drop was that of former two-time President Óscar Arias Sánchez who in September confirmed he would not seek another nomination. Lawmaker and INCOFER executive president Clinton Cruickshank and Alajuela Mayor Roberto Thompson also confirmed their political intentions, but then quit arguing lack of funds. 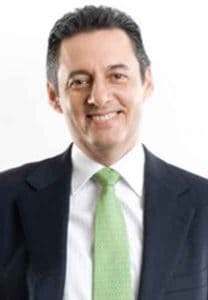 Private practice lawyer and former Justice Vice Minister Enrique Rojas Franco also entered and dropped the race alleging lack of support, as he was not a widely known person, he said.